There are a couple of ways I am like an elf - not the archery or magical spells kind, I mean elf as in little guy in pointy shoes works in the North Pole variety. I like to do things that make kids happy, and I love to make toys (I'm also adorably short at 5'0", tiny, just like a real elf)! My favorite toys to make are the kind I can dig through my crafts and recycling drawers to find the materials for, and the kind that teach something amazing in a simple way. I'm slowly but steadily building up my personal collection of homemade science toys that demonstrate all sorts of things like molecular polarity, cyclone formations, air pressure... the list goes on! 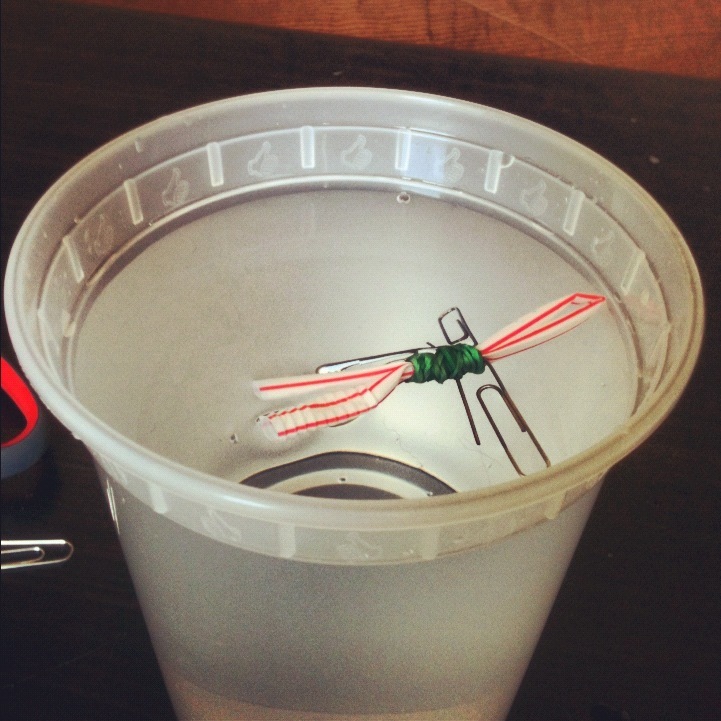 About a year ago, I made up one of my first ever science toys, the Cartesian Devil. This is a nifty little thing that demonstrates Archimedes' Principle about how pressure relates to the buoyancy of an object. It's also super simple to whip up at home with 4 common materials. I had to make myself another one after my original one made its permanent home at the museum. First, make your devil. Bend your straw in half so that the two ends meet. 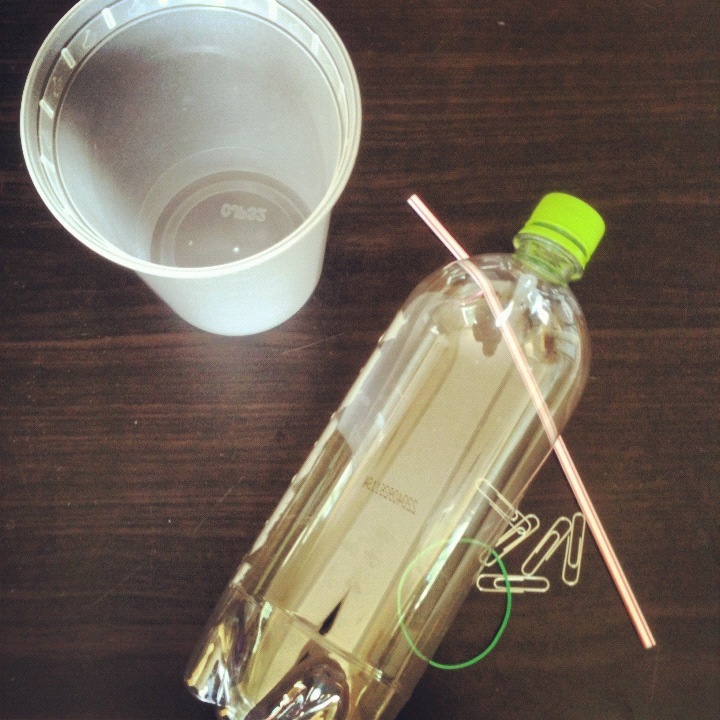 Wrap a rubber band tightly around the straw about an inch down from the bent part. 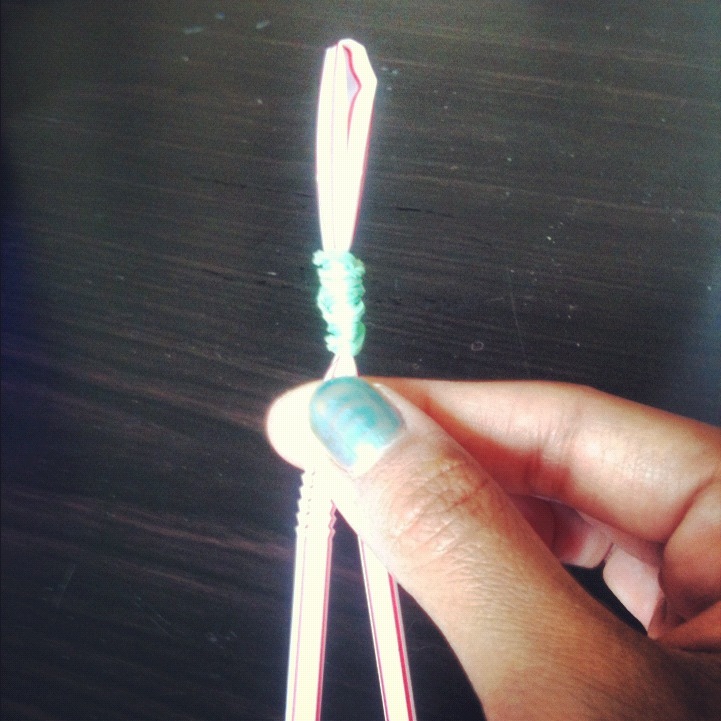 Snip the ends of the straw just below the rubberband. Next, hook paperclips onto the rubber band. 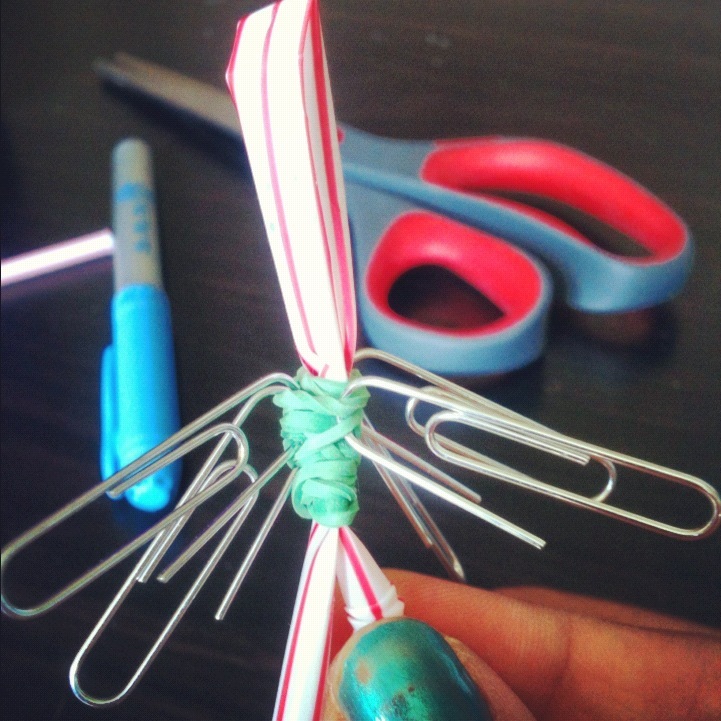 The paperclips are meant to make the devil a little heavier. This is trial and error, so start with a number of paperclips, maybe 4 or 5. 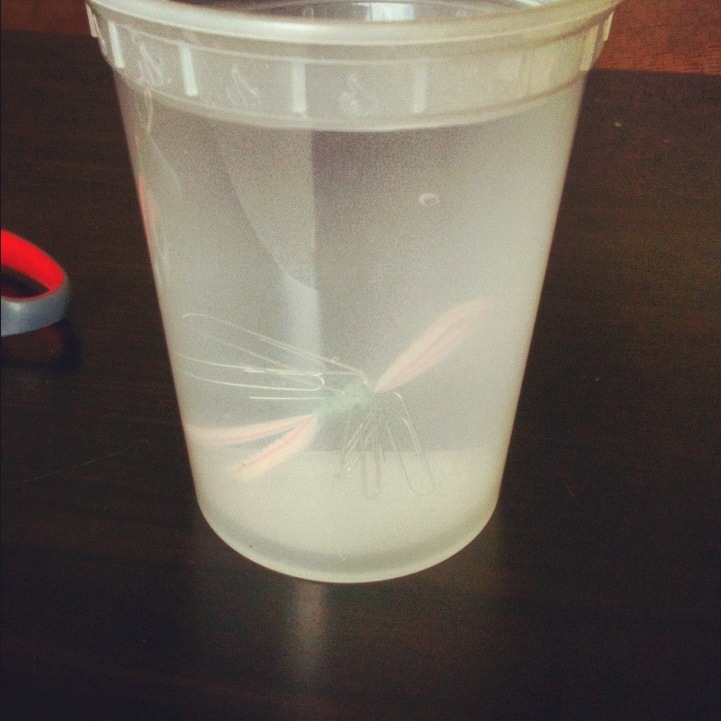 Fill the tall container with water so you can test the buoyancy of your devil. 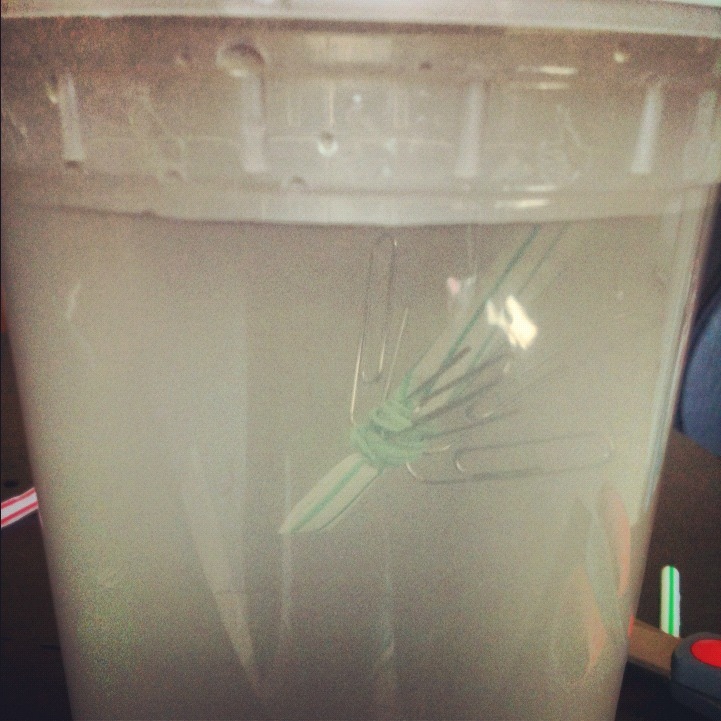 Place the devil in the water, paperclips first, and watch it. If it sinks to the bottom, the devil is too heavy and needs to be lightened - get rid of a couple of paperclips. 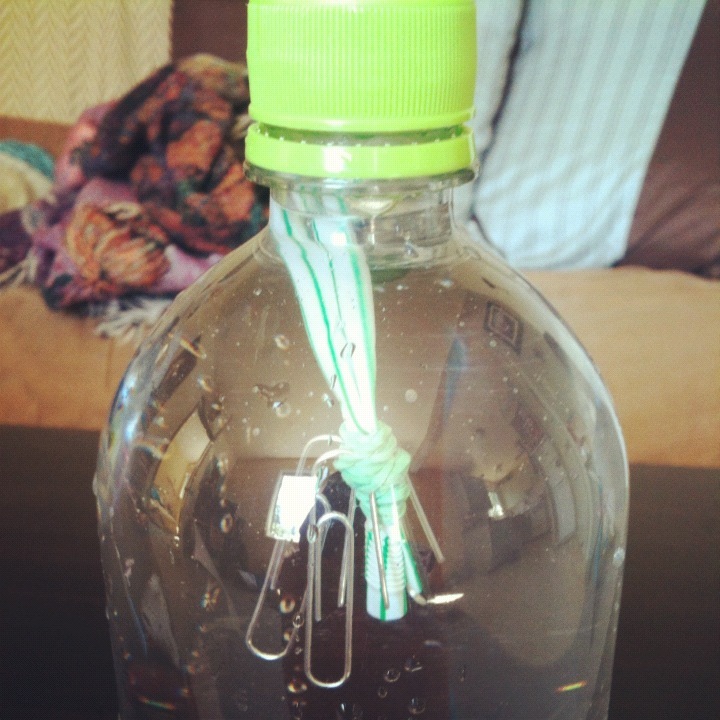 If it floats to the top on its side, it's too buoyant, and needs to be heavier - add some paperclips. Also, if it sinks to its side, the devil is probably off balance, try wrapping the rubberband closer to the ends and further from the bent part. You might need to start over with a new straw if yours gets too mangled. The sweet spot is when it floats, but only the tip of the bent part is out of the water and the rest of the diver hangs straight down in the water. This is neutral buoyancy and it's perfect. 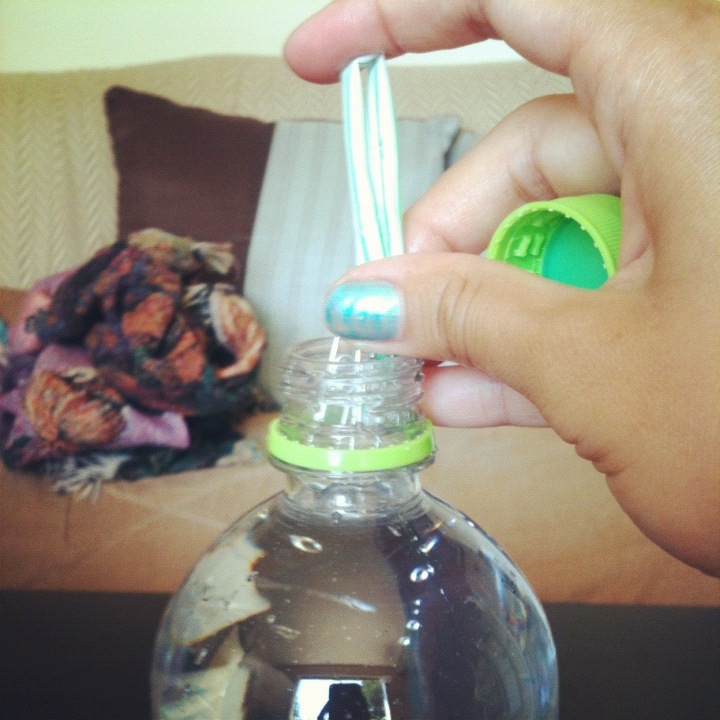 Fill the soda bottle all the way to the brim with water. Then put the devil into the bottle, paperclips first. Do this over the sink, the devil will displace and spill some water while it goes in. The devil should hang just at the top of the water line in the bottle just like it did in the tall container. Seal the bottle really tight with its cap. 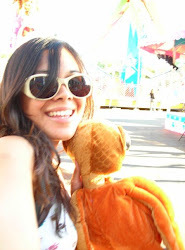 Now have some fun! Squeeze the sides of the bottle firmly - this might be a little tough. When you squeeze the bottle, the devil will sink to the bottom, and when you release, the devil will pop back up to the top! Increasing pressure on the sides of the bottle reduces volume inside the bottle, increasing pressure on the water (Pascal’s Law), which increases pressure on the air bubble inside the devil. 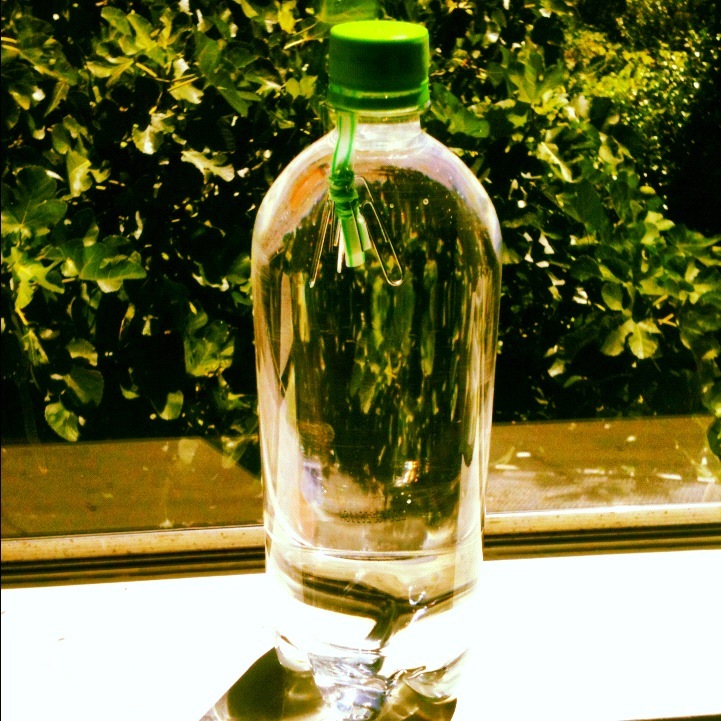 This air bubble maintains neutral buoyancy (Archimede’s Principle) when the bottle is at its normal state (un-squeezed). When pressure on the bubble increase from squeezing the bottle, the volume of the bubble compresses, making a smaller bubble. This smaller bubble isn’t large enough to maintain neutral buoyancy, and instead, the devil becomes negatively buoyant, or it sinks. 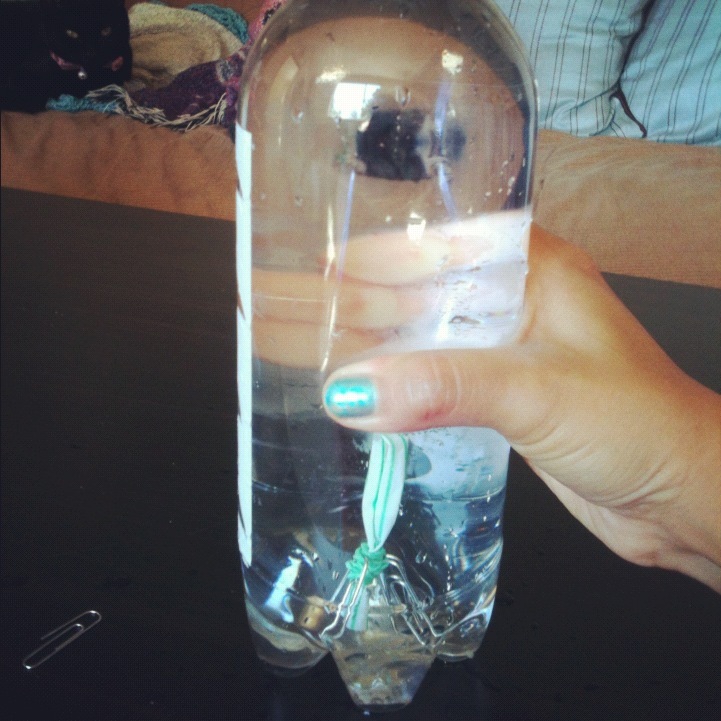 Releasing the sides of the bottle allow the volume of the bottle, the liquid, and the air bubble to expand again, and the devil becomes neutrally buoyant.